The stakes are higher for PreMYo Rizal winners! Telecom giant Globe Telecom, Inc. donated four prepaid handsets and eight Globe Tattoo sticks for the winners and runners-up! 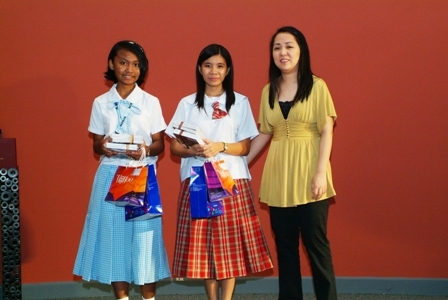 Thank you, Globe, for helping our Filipino students celebrate the Rizal in each of us!